The 2008/09 winter drought in Nepal was one of the worst on record; according to the Department of Hydrology and Meteorology, rain monitoring stations across the country received less than 50 percent of average precipitation during the period November 2008 to February 2009. The winter drought had significant impact on crop production across Nepal. This assessment suggests a national decrease in wheat and barley production (the two major winter crops) of 14.5 and 17.3 percent respectively compared to last year. 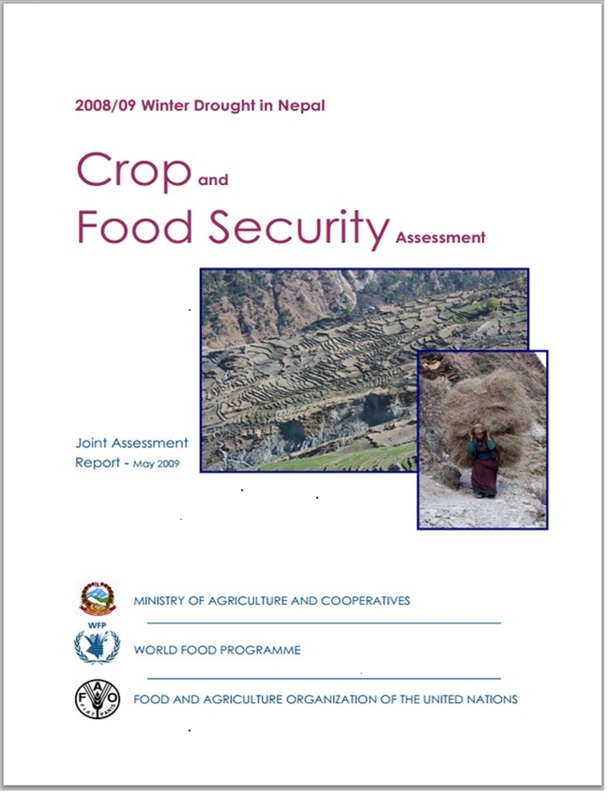 Despite a strong summer harvest, yearly crop production for 2008/09 resulted in a negative production balance of 133,000 Metric Tons of cereal (-2.5%) for all of Nepal. The poor crop harvest comes on-top of sustained high food prices for over a year; current year-on-year food price inflation is over 17 percent. Sixty-six percent of rural households that were heavily impacted by the drought are already experiencing food shortages; the worst hit areas are in the Far- and Mid-Western Hill and Mountain Districts. It is estimated that in addition to current WFP programming, an extra 707,000 people are in urgent need of immediate assistance.